One thing that I like about designers these days is that they like to share with us their knowledge and their artwork. Today I want to talk to you guys about one young UX Designer: Darius Dan from Romania, Cluj. 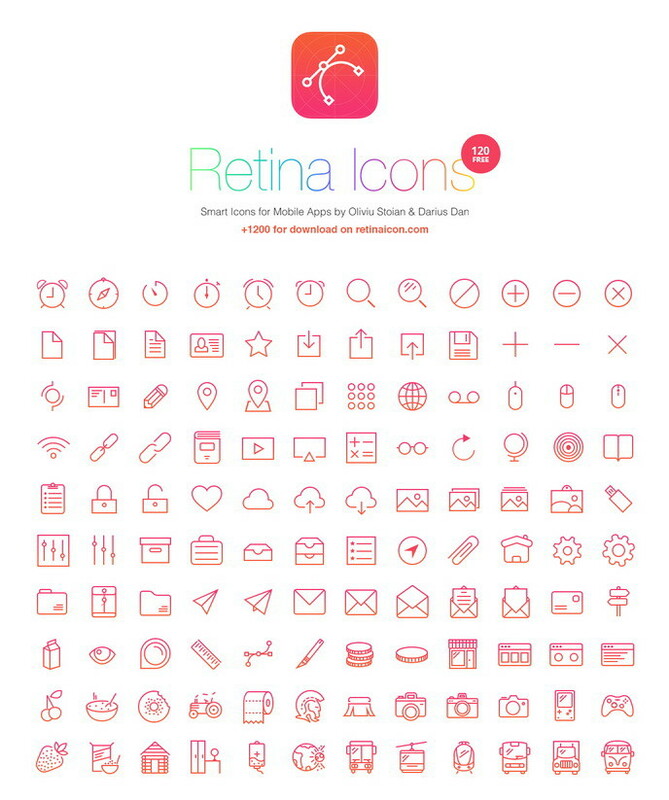 Darius share’s with us a beautiful collection of 120 icons specially designed for iOS7 platform. You can check more incredible artwork on his Dribbble account or you can follow him on Twitter. 120 Retina Free Icons is a collection of 120 handcrafted icon set designed using the thin line method. These icons could be modified and scaled up or down without loss in quality. You can use it in your graphic interface project. You may use these icons for both commercial and for personal use and customize them any way you like.